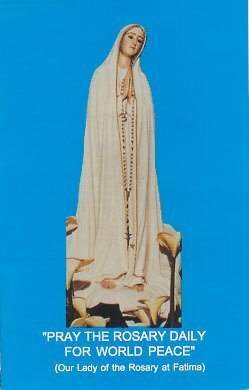 Rosary leaflets (5 panel fold out) with a picture, scriptural text and spiritual fruit for each of the twenty mysteries. Explains how to pray the Rosary. Small enough to fit in your prayer book, 3.3" x 5.25". This is our smallest pack available. This is also available in packs of 25 or 100.